The year is 1856 and Catherine has lost everything dear to her in England and she decides to travel to Louisiana to find her mother's family. However, when she arrives she finds that the family is not at the home and the plantation needs much repair which Catherine is determined to restore. When Tom and Catherine meet, there is an immediate connection there between them, although Catherine tries to not let it show, but that doesn't keep her from enlisting his help. Catherine and Tom both find themselves with decisions to make, decisions that will alter their lives forever. Both Catherine and Tom are independent, determined and brave individuals. They were enjoyable to spend time with, although at times they could be irritating and I found myself hoping they would respond differently, do or say something else. I loved how Christine wrote with such detail that the setting and time period came so alive, as life was quite different back then. This is a good conclusion to the series. I also loved the covers to each of the three books, very beautiful and well designed. a heavy sense of foreboding. she got herself under control. There was no judgment in his voice. Just kindness and concern. enveloped by the strength and warmth of his body and the seductive scent of his cologne. “I have no idea what you're talking about. And not to be rude, but I really don’t care. What I do care about is who’s trying to contact you. It’s obvious that they frighten you, Dana. If you're looking for a sweet summer romance to read, look no further, "Primrose Lane," is the perfect summery read, quick and sweet. This is book #3 in Debbie Mason's series and one of the best yet from her! We find out in the beginning that Dana, Greystone Manor's event planner is Olivia, a Boston socialite. Olivia is dealing with pain and is not handling it in a healthy and appropriate way. Dr. Finn arrives and Olivia's secret is discovered, leading them on a journey of second chances. I loved this story and watching Olivia and Finn's relationship grow as well as Olivia overcoming her grief and pain and making better choices. This is such a sweet story that is emotional, but also enjoyable to read. age 8 and I lovvvve to read! The book "Finally" is great because it is about growing up, but it still is funny at the same time. I really like the part when Rory drinks too much caffeine. I also like the part when Rory's little brother Sawyer is naked at the restaurant. My cousin Julianne loves the book "Finally" also! The book "Finally" is about where a girl Rory, [ who is the main character] waited to turn 12 her whole life because: you can pierce your ears when your 12. You can go to the mall with your friends when your 12.You can babysit little Timmy when your 12. You can get a cell phone when your 12.You can sit in the front passenger seat when your 12. Plus, I like the book finally because Rory is VERY brave. Like when she put all her toys away in a box not to play with since she is 12. So, I say you should read the book "Finally!" A new resource for eating well and feeling great! Being diagnosed with a GI tract disease, such as IBS or Colitis or Crohn's, is one thing; then trying to find a meal plan that works for you is a whole other thing and can be extremely frustrating. Each and every person is different and therefore their bodies respond differently to various foods. 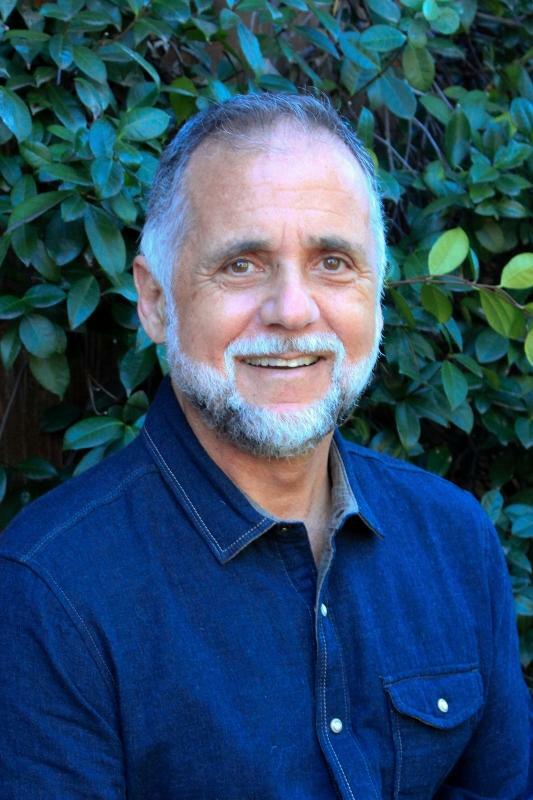 However, there has been a lot of information in recent years about the Low-FODMAP plan and the success that goes along with this for individuals with GI issues. I was absolutely thrilled to see this book! I was diagnosed with Colitis five years ago, and it has been difficult knowing what foods are not agreeing with me and it is so frustrating to feel horrible after eating things I thought would be fine for me. I wish I had had this book when my doctor first mentioned the Low-FODMAP plan to me, as this does an incredible job explaining everything and it is handy to just open up and look things up in...you can't always get in touch with a doctor to ask questions when you need to! Seriously, this book is amazing - it is your one-stop resource for this plan! The plan is described in detail as well as "in a nutshell." Everything is explained so well. There are charts that explain things and can be used to fill in and track reintroducing foods. This seriously covers everything to go along with this plan. A sample 7-day menu is shared as well as color photos and recipes. This book is a great resource for anyone who needs to be following this plan, seriously a must-have. For information on the author, go here! 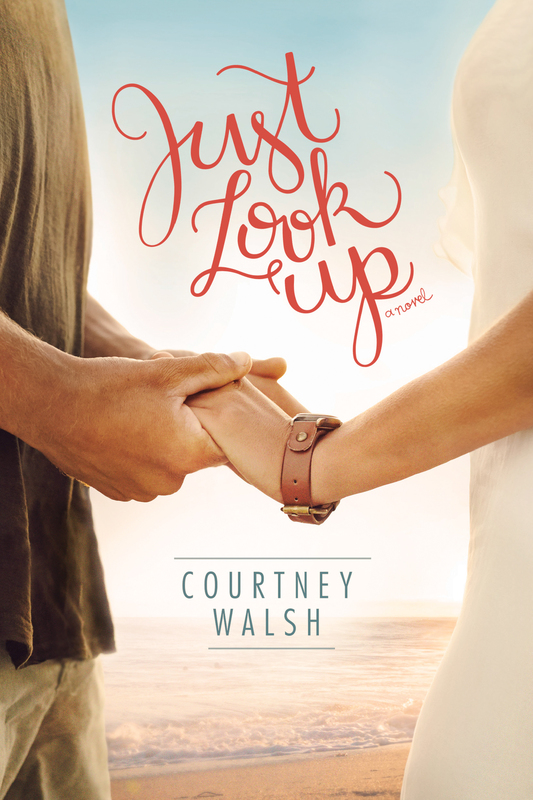 I had been so excited to read "Just Look Up" as soon as I started seeing posts about it on social media and it did not disappoint in the least! Courtney Walsh is an author whom has become a must-read for me, her novels are ones that find a permanent home in my personal library. Lane has spent the past seven years working her way up in the interior design firm, and this has been her focus for all these years. When Lane receives word that her brother Nate has been in a horrible accident, she travels home to a town she would rather forget all about and leave it in the past. Ryan is thrilled to see Lane back in town; however she is not the same girl he once knew and loved. As Lane and Ryan's lives intersect they both are discovering truths about themselves, and perhaps a chance at love as well. However, the past has not been kind to either and it is difficult to work through past hurts. Courtney does a fantastic job with creating characters whom the reader cannot help but fall in love with. The characters all become so real as does the town. Harbor Pointe came alive in the pages and I could picture the various touristy spots throughout town. The storyline flows nicely and I did not want to stop reading once I started; Courtney writes with such detail and emotion that it was easy to get wrapped up in the storyline and the characters' lives. This is truly a beautiful and moving story that addresses forgiveness, family and love. Jam-packed full of great activities and lessons! Both of my kids were excited when this arrived in the mail. They immediately began going through the pages to see what all was included in this. I was pleasantly surprised at the size of this book, and the amount and variety of activities that are included in this! There are mazes, dot to dot, coloring pages, unscramble activities, hidden messages, word searches and more, just a wide variety for kids of all ages and abilities. Each activity is tied in with a Bible verse, a Bible passage and/or a story. I loved listening to my kids exclaim over what story different activities were connected to and then hearing them discuss details of the story that they remembered or that the activity or picture was reminding them of. This is truly a great activity book that will help reinforce Bible verses and lessons and provide hours of fun! Nate can't wait to leave London . . . until he meets Rosalyn. 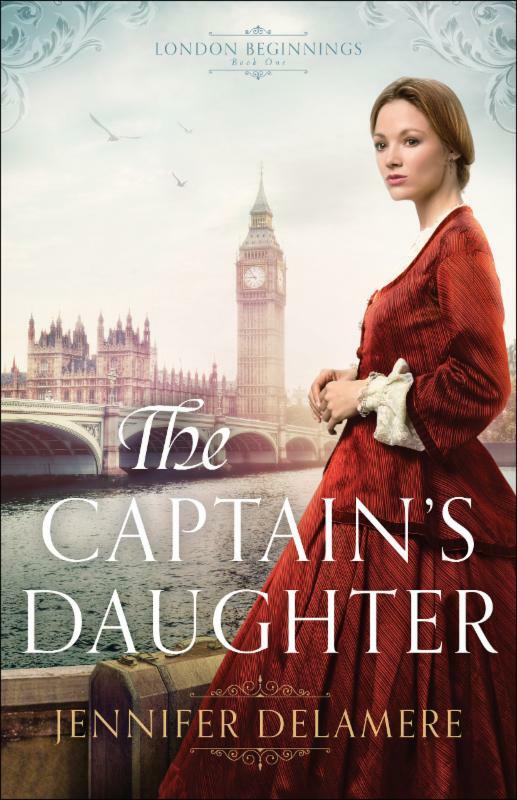 "The Captain's Daughter" is an excellent start to Jennifer's new series and it is a must-read for historical fiction fans. This is wonderfully written, excellent characters and a storyline that just flows so nicely. Rosalyn grew up in an orphanage and was in a position of service when she became of age. However, life is not a safe and happy for Rosalyn as she encounters tough situations and shady individuals. Nate is just waiting for the time that he can return to serving his country, and he is spending time healing in London. When Rosalyn and Nate's paths cross and their lives intersect at the local theater, a place that has become a sanctuary for Rosalyn and a place that Nate cannot wait to leave, both realize many things, but most importantly is that God has a plan and a purpose. I loved the uniqueness of this book, the storyline, but really the character of Rosalyn, she has had a hard life and wasn't raised in a home being waited on and living a privileged life like so many other characters I have read about in historical fiction novels. I felt as if I was transported to London and became a part of the story which really makes a book great for me. I highly recommend this book and am eager for book #2 in the series! Being a mother can be a crazy life, but it's a gift filled with grace. 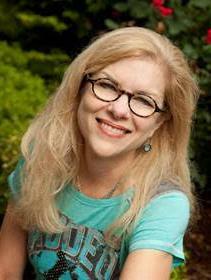 Read Betsy Singleton Snyder's comical story in Stepping on Cheerios. Stepping on Cheerios is a collection of funny, warm, and charming tales from the frontlines of parenthood, written for women who are juggling to accomplish everyday feats of work, motherhood, marriage, church, and more. It's a comical story of one woman's realization that her crazy life is a gift and how she found the grace in it. 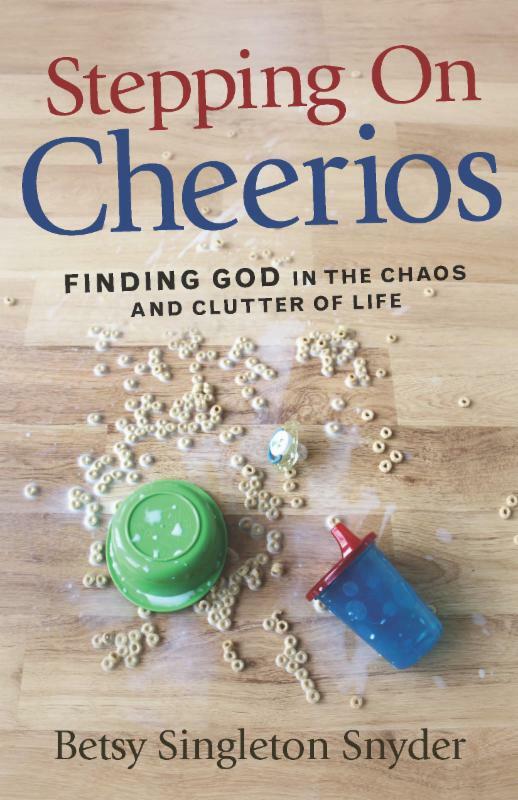 "Stepping on Cheerios: finding God in the chaos and clutter of life" is a title that was calling my name. Everyday life is so chaotic and messy and it's easy to feel alone and at the same time forget to rely on God to help us through the messy moments. Betsy is juggling carrying for her church, her home and her children, her children whom she had later on in life. At times things are smooth, but most often not, it is pure chaos trying to juggle everything, to which I can completely relate. This is a good book to pick up and read when you have a few minutes to sit down, breathe and relax or you just need a few minutes to decompress and feel like you're not alone in the mothering role. This book is a collection of stories, and are perfect for reading a story or two at a time as that is what they are a collection and a mishmash of personal antidotes and Biblical accounts. This is inspiring and entertaining, a great read for mothers at all stages of their lives! I grew up hearing about the day that President John F. Kennedy was shot, my parents would also state where they were and what they were doing when they heard the news. This was a day that they will always remember, just like 9/11 will be such a day to me. 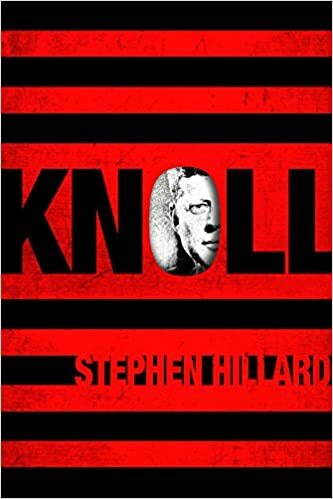 In school in so many history classes this event was also discussed and we were taught about it; however Stephen Hillard takes this historical event to a whole new level. Who knew about this plan? Who knew that this was day that President Kennedy was going to be assassinated? Anyone who has knowledge needs to be killed, and it seems that the person behind this is ruthless! As soon as I started to read I was immediately hooked on the storyline, both storylines! I loved how Stephen wove two storylines together, intertwining so many lives together in ways no one would imagine, yet the links are there. So many different accounts, thoughts, in so many forms are shared and I found myself trying to sort through everything in my mind right alongside Bus and Banner, two characters who I absolutely loved and really enjoyed being on this journey with. Teaser Blitz - "Primrose Lane"
BONUS: Includes a complete novel from BookShots Flames, THE MCCULLAGH INN IN MAINE by Jen McLaughlin! matchmaking clinic from hell. He pushed to his feet with a closed-mouth smile that hopefully hid his clenched his teeth from Sherry’s observant gaze. 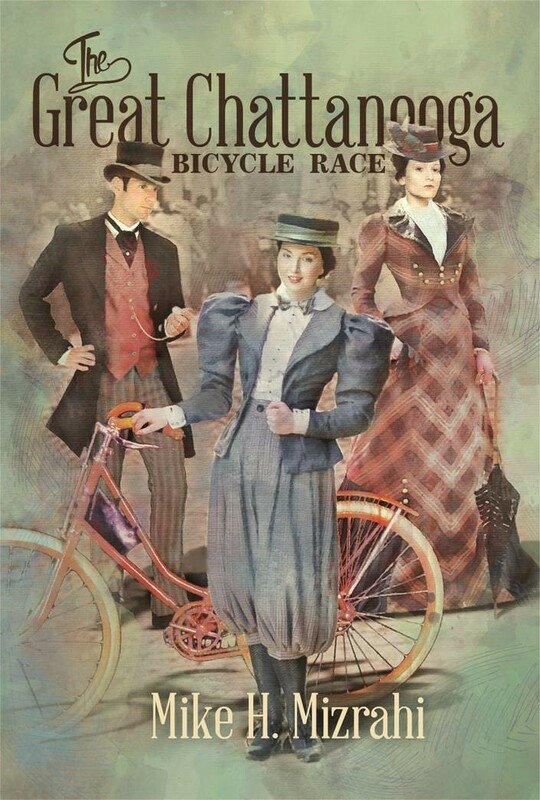 Take a ride through 1895 Chattanooga as it's turned upside down when a young woman has the audacity to ride a bicycle-in bloomers-in Mike H. Mizrahi's new book, The Great Chattanooga Bicycle Race! Anna Gaines, 19, struggles to conquer her insecurities after a horrible fall years ago from her beloved horse, Longstreet. On a visit to Brooklyn, she's drawn to the new pastime of bicycling. But back at home, cycling is a scandalous sport for a proper lady. Anna has her eye on Peter Sawyer, president of the Cycling Club. As community outrage grows, an unexpected turn of events pits Anna against Peter in a race between the sexes. I really enjoyed Mike H. Mizrahi's novel, "The Great Chattanooga Bicycle Race;" it is a book that completely transported me back in time and I became engrossed in the story. Anna had a horrible fall off of her horse years ago and she missed out on so much while recuperating. Now she is eager and thrilled to try riding the wheel. However, New York society is much more open to change and open to women participating in actions such as these while the South is not. Chattanooga society is appalled at the audacity of a woman wearing bloomers and riding a bicycle. Anna is determined to prove that women are equal to men; however the man who has caught her eye becomes the one she is pitted against. This was such a fun book to read, that was also filled with historical detail. I loved the storyline and learning about how much society varied based upon location and what the acceptable behavior and dress was for women. Anna is a great and entertaining main character whom is full of heart and passion for what she believes in. I highly recommend this book to those whom enjoy historical fiction! a great new Bible for kids! 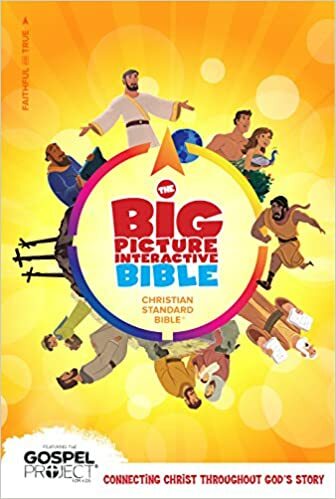 "The Big Picture Interactive Bible" is so colorful, so fun, so vibrant, so full of life! This is perfect for children of all ages! Each book of the Bible is introduced in a few short paragraphs, the main stories are listed and the passages in which they are found, the main ideas/questions are highlighted - the who, the what, the whys. I love this as it is an overview and helps to familiarize the reader with each book of the Bible. Also there are 100 verses that are highlighted in boxes, making them stand out and they are great ones for memorization. This is also interactive as there are full pages pictures that can be scanned through an app allowing for the illustrations and the story to come to life for the reader. There is also a dictionary and questions that are asked and answered throughout the Bible. There are so many features to this Bible that make it a great choice for children! 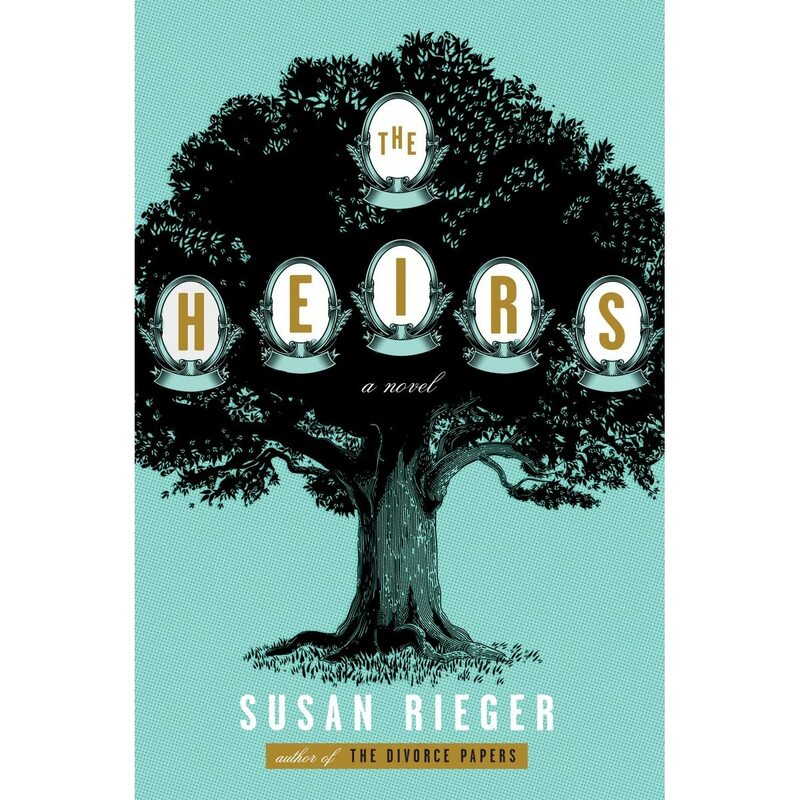 I was instantly intrigued by the blurb I read about "The Heirs" and knew this was a must-read for me. The television show Gossip Girl is a guilty pleasure of mine, and this storyline aligned with that in my mind as it is full of family drama and based in New York's Upper East Side. I was not disappointed in the least! Susan does a great job with introducing the characters and then sharing bits and pieces about their lives throughout the book. I especially love how the book is divided into chapters, each chapter really focusing on one of the characters as there are so many players in this story. The 5 Falkes sons were all shocked and furious when a woman claims that she had two children with their father; this does not fit in with how they view their father and this simply changes the whole thoughts they have of their father and their family. However, it does not appear that their mother is all that shocked and upset by this claim. 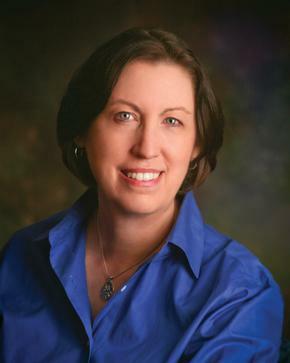 I love that Susan begins with introducing the family, giving background information on the parents and a brief overview of each son, their jobs, their education; this really paints the picture of the family as the boys were growing up and their lifestyle and the closeness between the boys and their mother in particular. As the book progresses so much more is learned about each character and how their lives intertwine with each other. This is a great read, it is thoroughly engaging and I just wanted to keep reading as the characters became so real to me and the drama held my attention. This is a great beach read for the summer! "You Can Do This" is one of my favorite, if not my top favorite, women's issues books of the year! 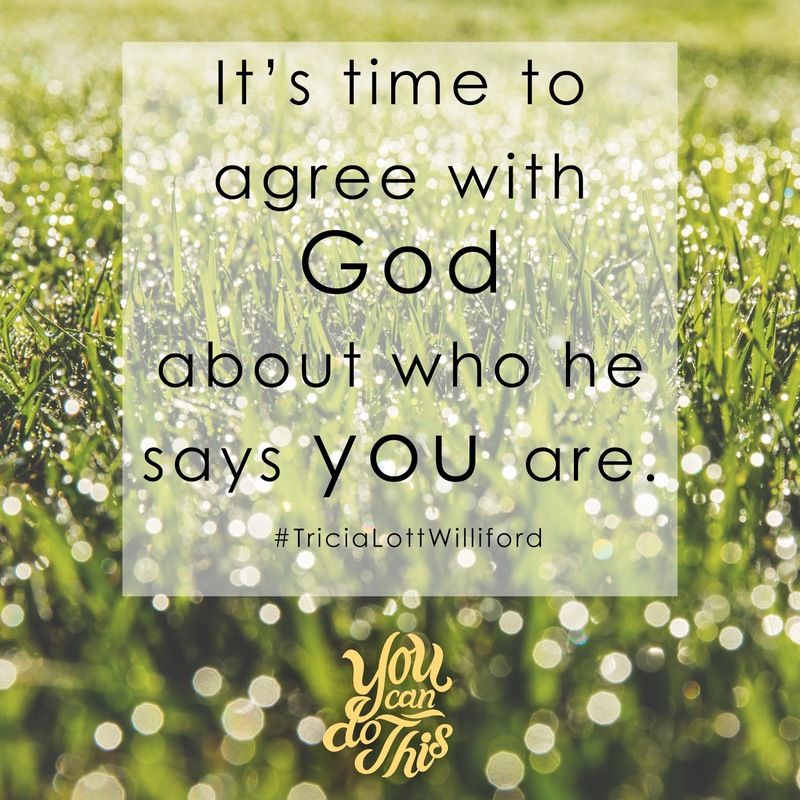 Tricia Lott Williford is an excellent writer as I was completely engaged in this book from page 1 and yet it didn't feel as if I was reading the book, but that I was having a conversation with Tricia over mugs of coffee. Each chapter focuses on a specific aspect of being a confident girl ( I love the layout of this book!) and each chapter begins with a quote which is a great little extra as well. There is a chapter on knowing one's identity, appreciating and recognizing her beauty, sharing kindness to others, these are just a few of the chapters. Then each chapter ends with a stepping forward section which is filled with ideas and thoughts to really apply the chapter and the lessons. This is a book that I have highlighted and marked so many sections and one that I will read through so many times, it is already looking well-loved. 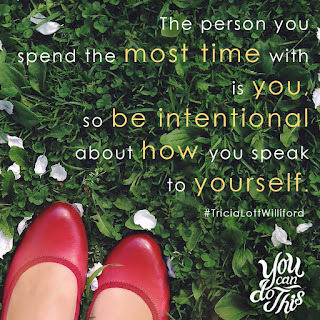 We as women are so often comparing ourselves with others and lacking confidence in ourselves and suffering from low self-esteem that we are not living life like we are intended to and not finding enjoyment in our everyday life that God has given and intends for us. 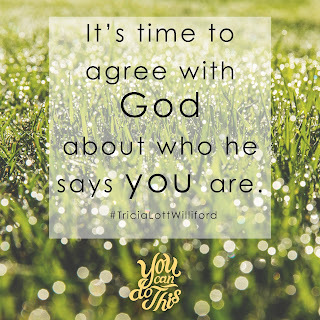 Tricia opens up and shares her heart and shares examples and lessons she has learned. 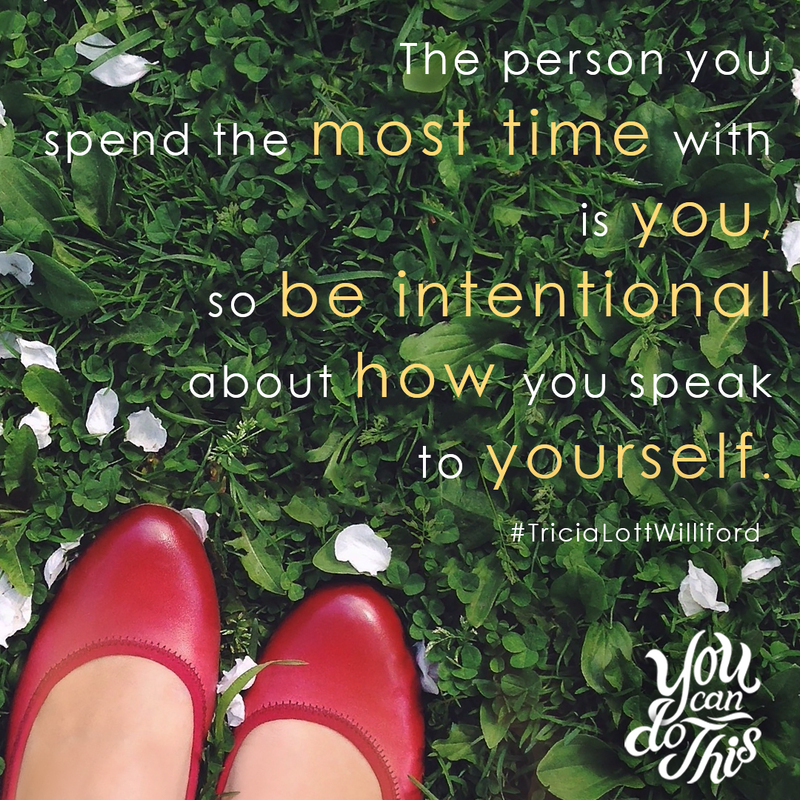 Tricia's therapist encouraged her to create a box, really take ownership of it; this section resonated with me and I felt as if I was a part of the therapy session with these two ladies. 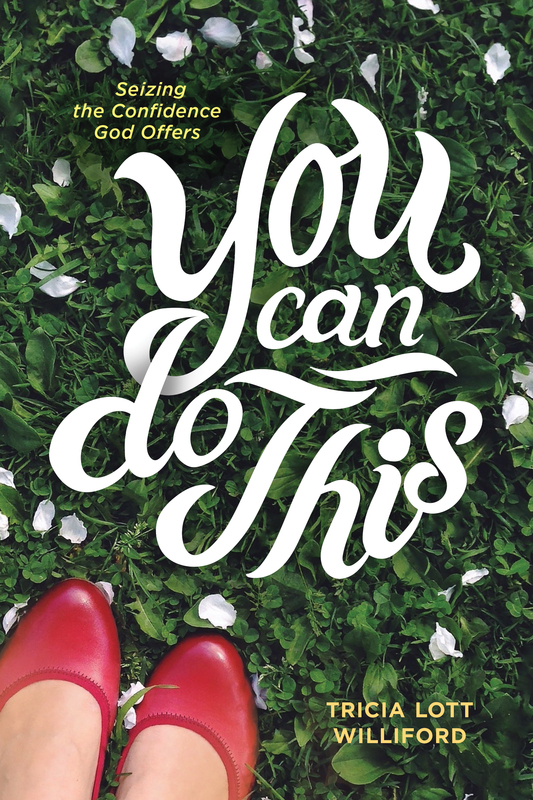 "You Can Do This" is such an inspiring book that had me smiling throughout and encouraged to boost my confidence and really grab onto what God offers.